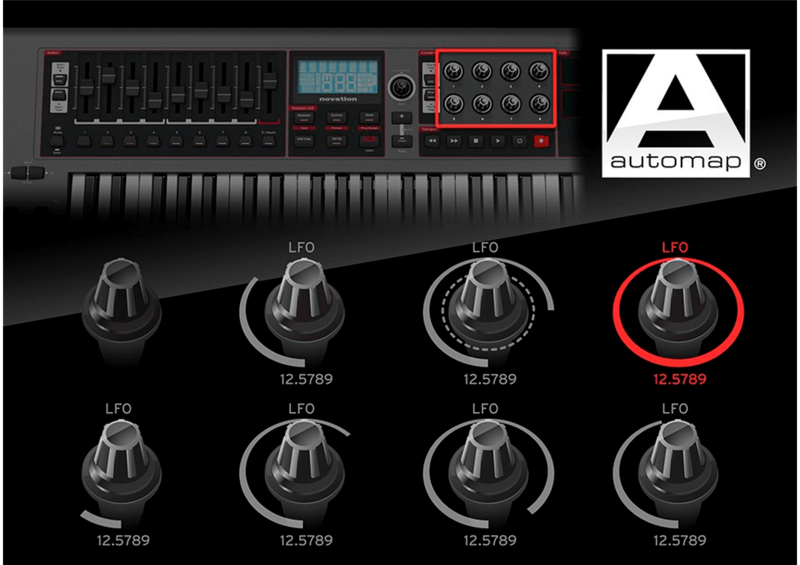 Automap 4 is the brand new version of Novation's Automap control software. It works with all Novation's Automap controllers and is a free upgrade to all users. Automap 4 is now easier to set up and has a more streamlined workflow than ever before. Click here for more information about the changes which have been made in Automap 4. Despite having knobs and sliders, most MIDI controllers are no good at controlling plug-ins. It is difficult to assign the controls and you cannot see what is controlling which part of your music software. Automap's edit page graphically shows you the entire control surface, labelling each control so you can see exactly what is assigned to what. It gives you instant access to your DAWs mixer and transport controls. When you open a plug-in instrument of effect, you have access to its parameters - and you can move them in an instant! Automap Parameter control. The 'learn' function means you can instantly assign knobs, faders and buttons. If you want to assign knobs, faders and buttons to MIDI continuous controller numbers, just type them in!